People say that you always have to tell the truth, so we are: Tickets are now on sale for the national tour of The Curious Incident of the Dog in the Night-Time in Boston. The touring production of Simon Stephens' Tony Award-winning drama will play the Boston Opera House from March 7 through March 19, 2017. Directed by Tony Award winner Marianne Elliott and based on the novel by Mark Haddon, Curious Incident follows Christopher—a fifteen-year-old who is exceptionally intelligent but ill-equipped to interpret everyday life. When he falls under suspicion for killing his neighbor’s dog, he sets out to identify the true culprit, which leads to an earth-shattering discovery and a journey that will change his life forever. The cast of Curious Incident includes Adam Langdon as Christopher, Gene Gillette as Ed, Felicity Jones Latta as Judy, Maria Elena Ramirez as Siobhan and Amelia White as Mrs. Alexander. 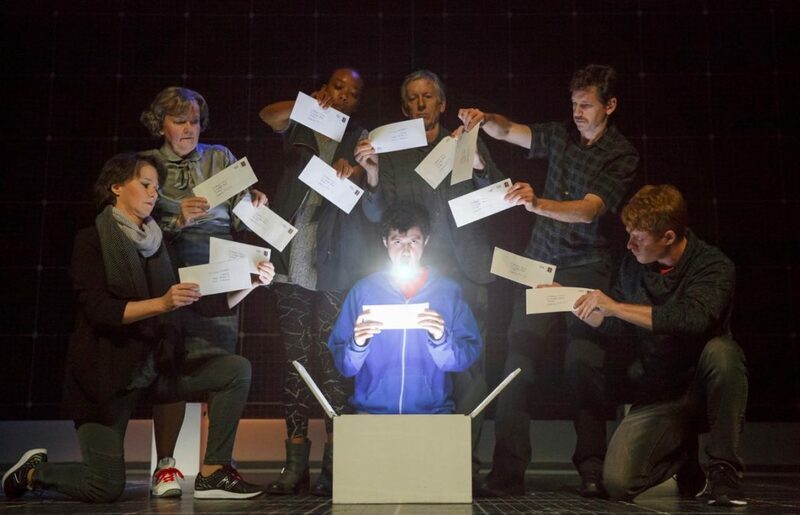 The Broadway production of The Curious Incident of the Dog in the Night-Time took home five 2015 Tony Awards, including Best Play and Best Direction of a Play for Marianne Elliott.